Gosliner T.M. & Fahey S.J. 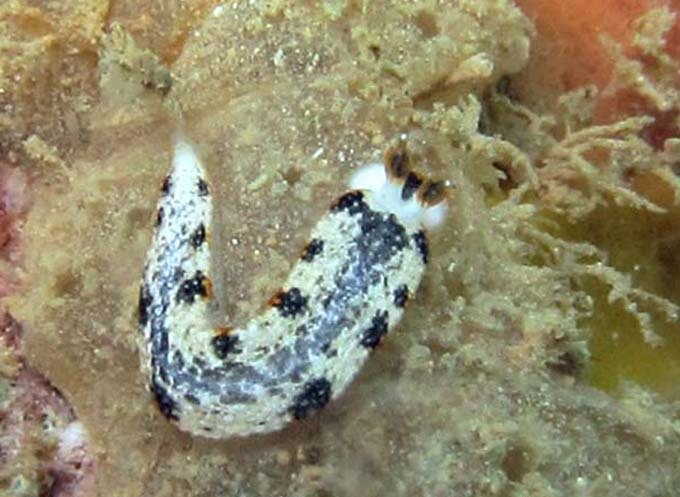 (2011) Previously undocumented diversity and abundance of cryptic species: a phylogenetic analysis of Indo-Pacific Arminidae Rafinesque, 1814 (Mollusca: Nudibranchia) with descriptions of 20 new species of Dermatobranchus . Zoological Journal of the Linnean Society 161: 245–356. There are hidden gills between the foot and the mantle.